A common concern people have when considering purchasing steel garage kits is how a steel garage can stay firmly affixed to the ground during storms or periods of intense winds. While our custom metal garages are structurally sound and durable, their stability and strength can be put at risk without proper anchoring. That is why we offer a variety of anchors to help you establish a foundation capable of resisting high winds. Metal Garages Central is committed to providing long-lasting steel garages with secure anchoring systems so you can enjoy your structure for decades to come. Therefore, it is important to understand that the best type of anchor for your custom steel garage depends on the type of surface you have prepared for the installation of your metal building regardless of the weather, although we recommend asphalt or concrete foundations for areas that experience heavy rains because soil is quite susceptible to erosion. Examine the options below to discover which kind of anchor will best attach your custom steel building to your foundational surface. Rebar is made of steel and is typically used to strengthen or reinforce cement structures or concrete. 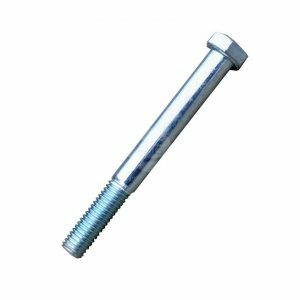 The 1/2″ x 32″ rebar anchors that we sell at Metal Garages Central can provide strength and stability to your custom metal garage. While installing your steel building, holes will be drilled into the base rail of the structure, and the rebar anchors will be used to secure it to the ground. 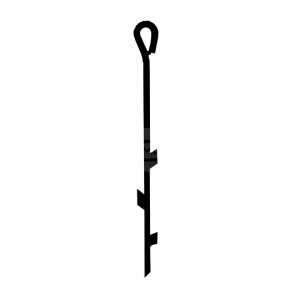 We recommend that rebar anchors only be used in areas with solid soil and low winds. If you wish to level soil for the installation of your garage but live in an area that experiences strong winds, our knowledgeable installers at Carport Central recommend using a different type of anchor. Metal Garages Central’s mobile home anchors, otherwise known as auger anchors, are excellent anchors for keeping your steel structures firmly attached to soil or dirt. You do not necessarily need a poured foundation for your custom metal garage, but you do need a level site where the building is to be installed. The mobile home anchor is the best one for securing your structure to the ground because the augers on the anchors firmly catch the soil after they are driven into the earth. 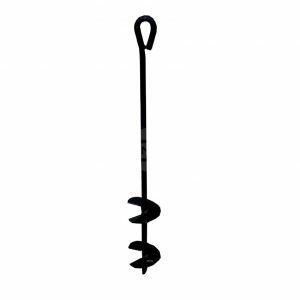 These anchors are the only ones used for certified ground installations, so the auger or mobile home anchor is really your only option if you wish to certify your garage and plan on constructing it on solid ground. The installers will place an anchor every 25′ with certified structures, but we can do this for non-certified buildings as well. It is your responsibility as the purchaser to level the area, but our installation team will arrive and use the proper tools for measuring and driving the anchors into the soil unless you would like to do it yourself. Again, this is the anchor Metal Garages Central recommends if you are affixing your structure to soil, so let our customer service representatives know of your intentions to install your custom steel garage to the ground. Metal Garages Central uses these anchors for installing your metal building on concrete. Essentially, our installers will put the base rails of your structure in place and use masonry drill bits to drill 3″-4″ holes into the concrete, starting with the center hole. Once the holes are drilled, concrete expansion anchors are placed inside, the nuts are tightened, and the base rail is secured. Different lengths of concrete wedge anchors can be used depending on the dimensions you have poured for the foundation of your steel garage. Concrete expansion anchors are used with concrete rather than asphalt because concrete is a stronger, more solid surface than asphalt, so be sure to let our your Metal Garages Central representative know whether you have a concrete or asphalt base for your custom metal garage. Asphalt is a mixture comprised of small stones, sand, and gravel. As a result, when direct pressure is applied to it, as it would be with expansion anchors, the asphalt will probably fracture. 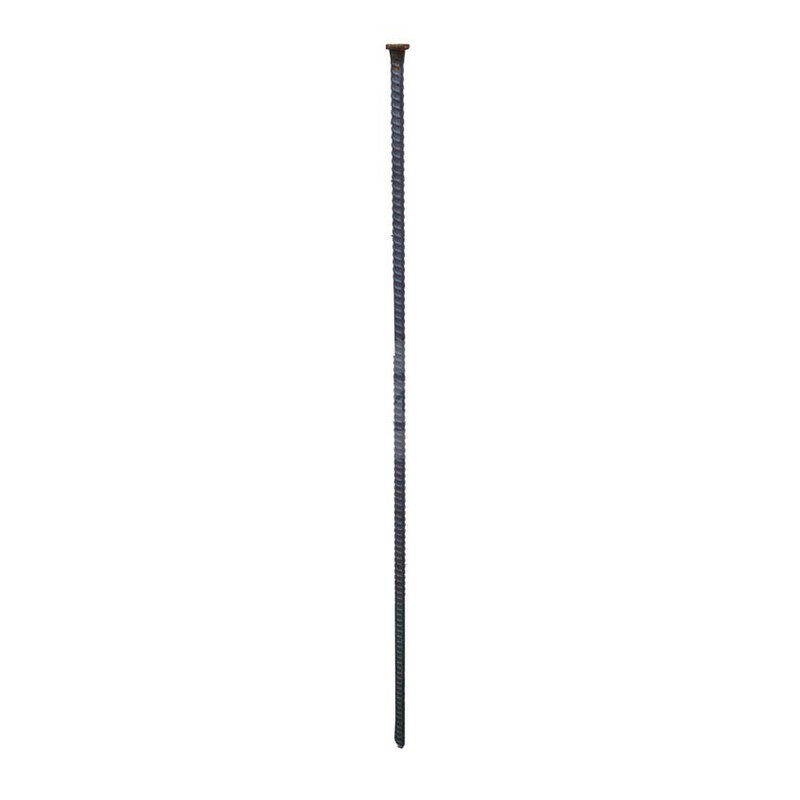 Therefore, asphalt anchors are designed with screw-like threads or barbs on their shafts to help keep them secure. These anchors are specially designed for asphalt and should not be used for concrete or soil foundations. Be sure to let your Metal Garages Central customer service representative know that you are planning to pour and level asphalt before our installation team arrives so that they can come prepared. Contact a Metal Garages Central customer service representative today if you have further questions about anchors or our fine selection of custom metal garage kits and prices.